Since it was first launched on the market, the Mazda CX-5 has stood out year after year in terms of sales, especially in Atlantic Canada. The 2016 Mazda CX-5 should enable Mazda to continue its momentum by featuring several improvements that make it stand out even more in its competitive segment. The changes are mainly in the bodywork. Indeed, the new Mazda CX-5 offers a slightly revised bumper and a new grille. Obviously, the changes are subtle, but Mazda’s compact sport utility vehicle has always been able to stand out in terms of style, often being described as one of the best-looking SUVs in its segment. The interior also gets some improvements, especially in terms of connectivity. It’s the high-end versions that benefit most from these technological improvements with the addition of the Mazda Connect module. Furthermore, the addition of the optional I-Activesense active safety system adds even more to the GT version of the 2016 Mazda CX-5. The latter includes several driver assistance technologies such as adaptive cruise control, lane departure monitoring system, automatic braking, and much more. A blind spot monitoring system and a rearview camera are also available with the CX-5. Offered from $22,995, the Mazda CX-5 is available in three versions. We have already spoken of the GT, which we will get back to in a second. Let's start with the entry-level GX model. The latter is powered by a SKYACTIV-G 2.0-liter engine developing 155 horsepower and 150 lb-ft of torque. It comes standard with six-speed manual gearbox and front-wheel drive, and displays an average fuel economy of 6.8 liters per 100 kilometers on the highway. It can also be paired with a six-speed automatic transmission, and all-wheel drive. The GS and GT models are in turn powered by a more powerful 2.5-liter engine developing 184 horsepower and 185 lb-ft of torque. Still featuring SKYACTIV technology, this engine offers an average fuel consumption of 7.1 liters per 100 kilometers on the highway despite its impressive power. Spacious inside, the 2016 Mazda CX-5 is also stylish and comfortable. The dashboard is easy to use on a daily basis and we appreciate the seats that offer good lateral support while being flexible and friendly for long drives on the highway. 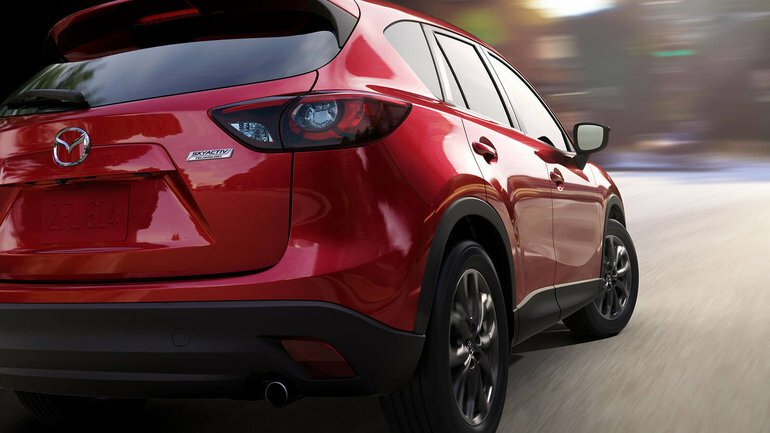 To learn more about the 2016 Mazda CX-5, contact City Mazda today!